Last time one of my friends computer was infected by viruses and computer totally won’t boot. I cannot get into Windows desktop and only showing some bla bla messages. Then I try to boot computer using the Kaspersky Rescue Disk 10, and attempt to scan and remove any viruses found inside Windows. Then, after the scan and removal process finished, I reboot the computer and amazingly its running again. 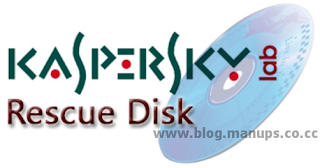 Kaspersky Rescue Disk 10 is a useful tool designed to scan and clean a severely infected computer without booting into Windows. It comes really handy when anti-virus applications or malware removal utilities fails to disinfect the x86 and x64 computers. To use it, you need to download the ISO file, burn the ISO image to a CD, insert it into the infected system’s CD-ROM drive, enter the PCs BIOS, set it to boot from CD and reboot the computer. On loading, update the rescue disk databases, select the hard drives/partitions that you want to scan and click ‘Start scan’. You can also Run Kaspersky Rescue Disk from a USB Flash Drive, by using Rescue2usb to create a bootable Kaspersky USB Rescue Disk. With this Kaspersky Rescue disk, you can boot your computer using CD or USB disk and you can choose between graphical and text mode. This rescue sofware support NTFS, FAT32, FAT16, Ext2, Ext3, ReiserFS.